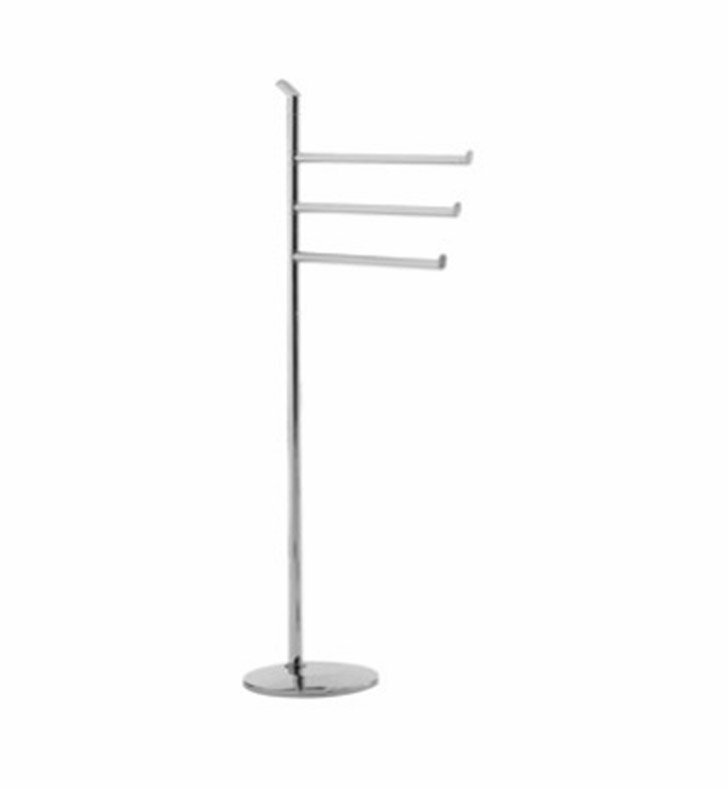 Gedy's Karma free standing towel rack is a free standing towel bar that is great for a contemporary style bathroom. Made in and imported from Italy by Gedy, this floor standing free standing towel rack is a designer option for your luxurious master bathroom. Match all your other chrome bathroom fixtures with this stylish chrome free standing towel rack, made in extremely high quality brass.